Assumption Island, Seychelles – Overcoming the initial resistance, India is now developingthis naval base in Seychelles, first agreed in 2015. Both the countries have continued to work on the project which gives the military access to India. 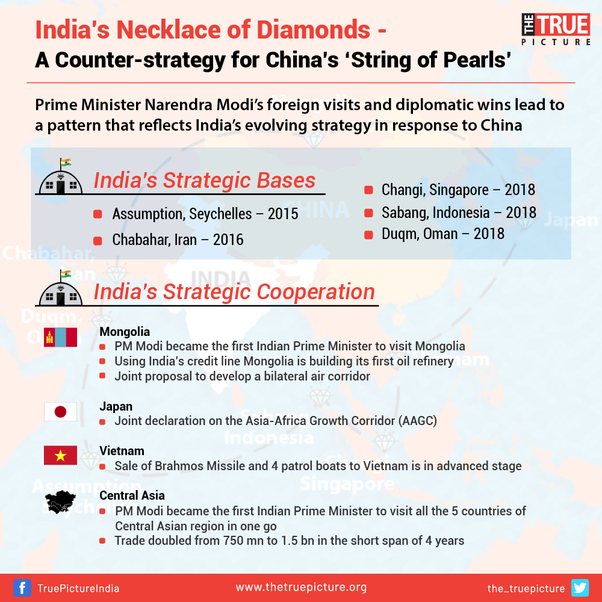 This particularly signifies India’s increasing strategic presence not only in Indian ocean but also in the African continent where China is desperately trying to penetrate through the maritime silk route.